Taking a water plane tour is a great way to get an aerial picture of the 30,000 Islands in the Parry Sound region of Ontario, Canada. Parry Sound is a very popular location where tourists come to enjoy the stunning scenery of Ontario, Canada and the many activities that are available around Parry Sound and Lake Huron. 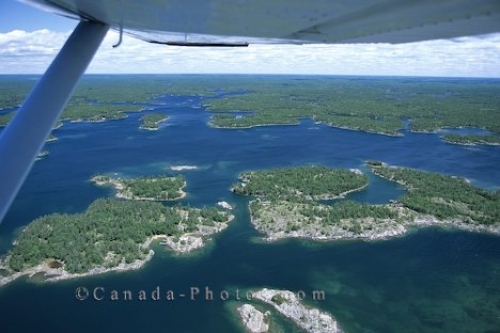 Aerial of the 30,000 Islands in Parry Sound in Ontario, Canada.